It’s estimated that nearly half of all older adults have two or more chronic health conditions, such as high blood pressure, diabetes, and heart disease. Gerald Morris, MD, MPH, and Amanda Bacchus-Morris, MD, MPH, at AMG Medical specialize in geriatrics, helping their senior patients prevent future health problems while managing existing conditions. They work together with each patient, getting to know their concerns, and developing customized treatment that targets their needs. To schedule an appointment, call the office in Tucson, Arizona, or book an appointment online today. What services are included in my yearly exam? If any concerns are discovered during your exam, you can get an electrocardiogram (EKG) on site so your doctor can evaluate the electrical activity in your heart. Once you develop a chronic disease or condition, it can’t be cured. Instead, the disease is managed to prevent it from worsening and to keep you healthy. Without ongoing management, these diseases can take a significant toll on your health. How are chronic diseases managed? Each type of chronic disease has its own management goal. For example, patients with diabetes need to keep their blood sugar within normal limits, while arthritis management focuses on reducing inflammation and pain while increasing joint mobility. Your doctor at AMG Medical works with you to develop a plan that can include changes in diet, gently increasing your activity level, losing weight if needed, and medications to control symptoms. What specialized services are available? Often, seniors are taking several medications prescribed by different medical specialists. 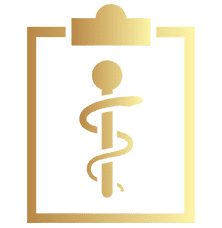 Your doctor at AMG Medical reviews your medications from all doctors to be sure you’re not at risk for adverse drug interactions or side effects. You might lack nutrients even if you eat healthy meals. This could be due to health issues and age-related changes that affect absorption of vitamins and minerals. Your doctor can check your nutritional status and recommend supplements to restore the nutrients you need. If you’re concerned about memory lapses or confusion, the team at AMG Medical can evaluate your cognitive health and determine whether underlying health conditions, nutrient deficiencies, or medications could be part of the problem. The team at AMG Medical values caring for the older adults in the Tucson community. To schedule an appointment, call the office or use online booking today.